Pin password and the pattern lock is a critical feature that helps you to prevent the unauthorized access to our phone. However, there might be chances that you have forgotten your password or pattern you set up on your phone. If you can’t remember your phone pattern or password for some reason, performing a factory reset is one option to recover access. However, it will result in the form of loss of data. So, today we are telling how to unlock pattern lock of Android Phone without Losing Data. So guys on this topic we did thorough research and found some most recent and popular working method for this kind of problems. 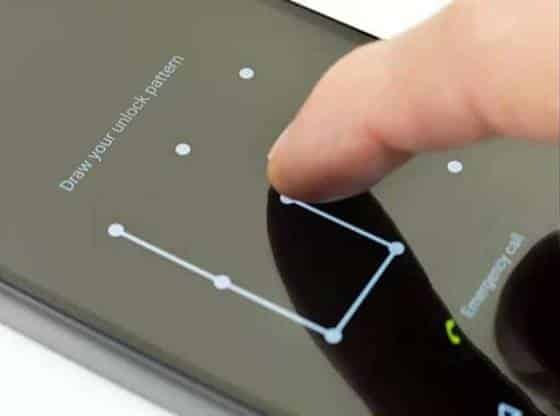 Here we are going to provide you with a detailed article on this topic, Which will help you to bypass android fingerprint and pattern lock screen. So now check out the top working method to remove the pattern and fingerprint lock. Step1: Firstly download the dr.fone from the official website. Step2: Now, from the home screen Select the option of ‘Lock Screen Removal’. Step3: Now connect your mobile to computer using the data cable. Step4: Once the application has detected your android phone, click the ‘Start’ button to start the further process. Step5: To further proceed, enter your device into its Download mode. For this power off your android device. Now, hold the Power, Home, and Volume Down button simultaneously. Step6: Now, press the Volume Up button to enter to the Download mode on your device. Step7: Once your device will enter the Download mode, the interface will start downloading the recovery package. Step8: Wait for sometime download the package for the application and perform the needed operations to remove your device’s lock. Step9: When the Whole process completed successfully, then you will be notified by an on-screen message. Now you can disconnect your Android device safely and access all its data without any lock screen. By using the Android Debug Bridge (ADB) tool, you can unlock any Android pattern lock without factory reset. So now let’s check out the method to unlock pattern lock without losing android data. Step1: First you have to download the ADB tool on your system. For this visit its official website. Step2: Now, launch the installation file and download all the essential packages required. Step3: Now connect your phone to the system. Make sure that phone USB debugging feature is on. Step4: After connecting your mobile to the computer, open the folder in which you installed the ADB drivers. Step5: Now right click on the free space by holding the Shift Key and select ‘Open command window here’. Step6: A command window will be open on your system. Now, type the following command “,” shell rm /data/system/gesture.key.” and then hit enter. Step7: Now you can simply restart your mobile and access it without any pattern lock or pin lock. Note: Remember this is temporary, so immediately set a new password, pattern, pin or Fingerprint lock before your phone reboot again. The Android Device Manager, which is also famous as ‘Find My Device‘ option is one of the best ways to trace your Android device remotely. Android device manager helps you to recover your mobile phone and also you can unlock your locked phone with the help of device manager. However, before continuing to this method remember this process will remove all the data from your android phone. Step1: Go to the Google Find My Device on the website or install Google Find My Device App on some other phone. Step2: Sign in to your Google account and choose your locked phone. Step3: Click on ‘Erase,’ it will wipe all your android phone data, as well as you’re the lock screen too. Note: This method only works when the find my device option is checked on your phone. To check if this option is on or not, go to Settings > Account > Google > Security > Find My Device and enable the “Allow remote lock and erase”, if it not on by default.